Construction of Fayetteville Public Utilities’ (FPU) new water treatment plant is progressing as major components of the facility have been constructed and installed over recent months. FPU began construction of its new water treatment plant in 2014. 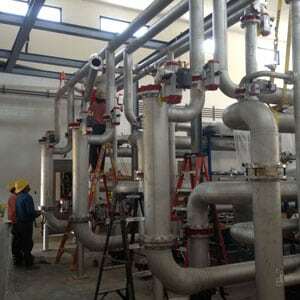 Before construction of the plant facility itself began, FPU had to secure the membrane filtration system around which the new plant is being constructed. The new filtration system will improve water quality and availability for FPU customers and will serve projected growth of the community for the next several decades. Earlier this year, the flash mix, flocculation, sedimentation and equalization basins were completed. As water is taken from the Elk River, it must first be pretreated with coagulants and other chemicals to aid in the subsequent treatment processes. This structure contains a 16-inch static mixer and chemical feed equipment to accomplish this first step in the process. The new plant has redundant trains for the flocculation and sedimentation processes which allow for maintenance and cleaning without a plant shutdown. Each train consists of two flocculation basins followed by a sedimentation basin and an equalization basin. A splitter box has also been constructed and will use large gates to allow operators to adjust flows between the two trains as needed. In September 2015, the infrastructure for the membrane filtration system arrived and is being installed. Photos of the piping necessary to support the filtration operation show the complexity of FPU’s new filtration system. The membrane filtration building floor contains extensive underground piping. Inside the filtration part of the new plant facility, racks of piping support the membrane filter cartridges and their components. This piping will carry water to and from the membranes as it is filtered. The new water treatment plant will include a state-of-the-art SCADA (Supervisory Control and Data Acquisition) system. Power and control wiring in the thousands of feet will be required to energize and control the membrane filters, pumps and instruments. In addition to conventional copper wiring, fiber optic cable will also be used to provide secure and reliable connectivity. The existing plant continues to operate during the new plant construction. 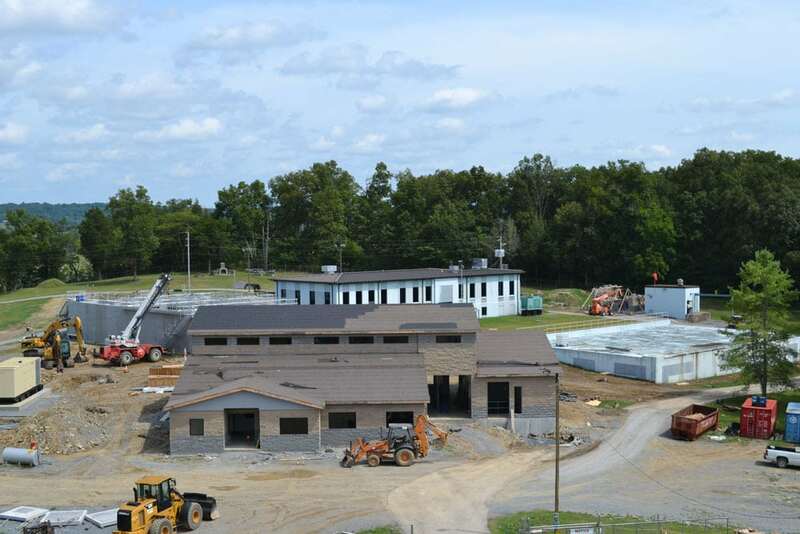 FPU’s new water treatment plant is expected to be complete in early 2016.